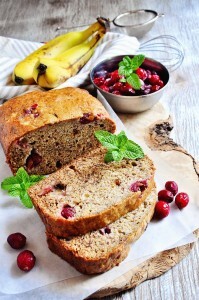 If you wish to please your beloved ones with a delicious and at the same time easy recipe, then banana bread would be just the perfect for it. This recipe is very popular in Anglo-Saxon countries where it is eaten as a breakfast or a snack with an addition of some butter or chocolate spread so it is really worthy of your attention. Banana bread recipe is versatile, which means you can easily modify it to meet your needs and enrich it with numerous additions. 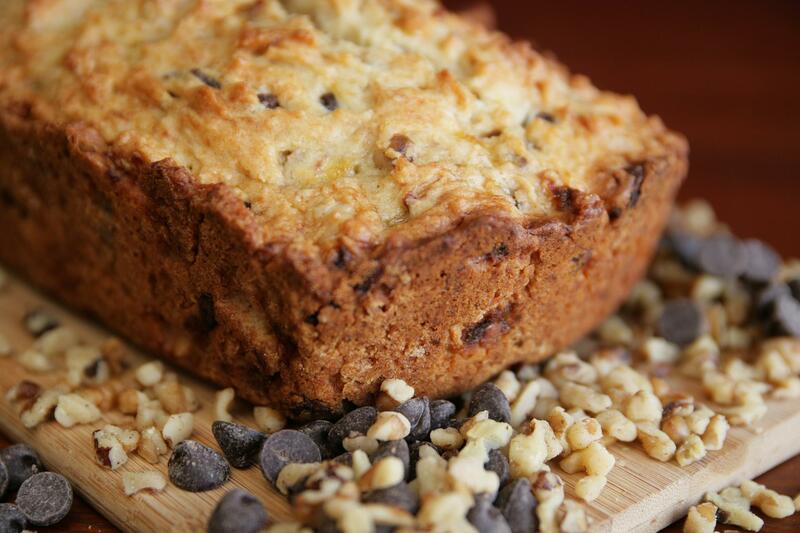 This basic recipe can be complemented by chocolate chunks, various nuts, seeds or dried fruit. Perhaps the easiest way to make this recipe even more special is by adding chocolate chunks, blueberries or nuts like walnuts or almonds. Use a large ball and beat eggs. Add previously smashed bananas, honey and oil and mix well. Add milk and mix well again. Add baking soda, vanilla sugar and salt and add everything to the mixture. Add flour at the end and mix very well. Before slicing banana bread leave it to cool for at least 20 minutes. Keep it in a plastic bag at room temperature for 2 – 3 days tops, while in the fridge it can last a couple of days longer. You can make more banana bread at once and store it in the freezer where it can last more than 2 months. If you consider adding chocolate chunks, seeds or nuts, add them before flour, while fruit is best to be added after flour. You can use baking powder too instead of baking soda. Also, if you don’t like honey, you can replace it with agave or maple syrup and instead of regular milk you may use almond or coconut milk. Despite endless variations of the basic recipe, we advise you to first try out the basic recipe and then tailor the recipe to suit your taste. This is truly a yummy recipe which you’ll enjoy preparing for kids as well as for adults, so it is more likely you won’t need those plastic bags after all.